1. Most frequently asked question: "Why can't I logon to the forum?" Only ROGUE members are allowed in the forum. If you are not a ROGUE member your registration request will be deleted after 3 days. Also be aware that if you pay through PayPal with one e-mail address & then you register for the forum with another, you will not be admitted. In most cases we have no way of knowing who you are unless your e-mail addresses match. 2. What exhaust should I choose? or what's better Slip-ons or a Full System? 3. Where can I get the custom maps for the PCII? b. Which is better the PCII or the PCIIIr? 4. Do you have a custom PCII map for aftermarket filters? 5. How do I remove the soft-limiter? The RC51/SP-1 is the kind of motorcycle that warranted us to create such a group. We felt that such a high level racing machine developed for street use has been a long time coming and we are here to celebrate its arrival. ROGUE has been developed to bring together enthusiasts from around the world. Our website, rc51.org is the meeting place. 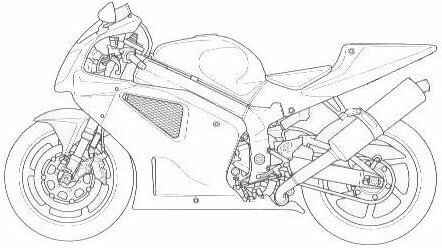 Here you will find information about the motorcycle, a forum to post your questions/answers, statistics about the motorcycle along with racing stats from around the world. 9. What are the benefits of joining? 10. Why should I join? If you own an RC51/SP-1 and would enjoy the opportunity to show your pride in owning such a fine machine as well as an opportunity to learn valuable information from fellow owners that will allow you to get the most out of your RC51/SP1 then this might just be for you. You will benefit from the experiences of our worldwide members & learn what works & what doesn't. From everything you have ever wanted to know about reprogramming your Fuel Injection system to tire pressures, it's all available in the forum. 11. Are there any discounts for the group? Yes there are some product discounts available to members & even one or two that you will have to see to believe, but in all honesty our supporters are few at this time, we will keep you posted. 12. How do I join? Check out the "contact us" page.